Plans are well underway for the 2018 NAADA Annual Conference hosted by The University of Idaho in Boise, ID. 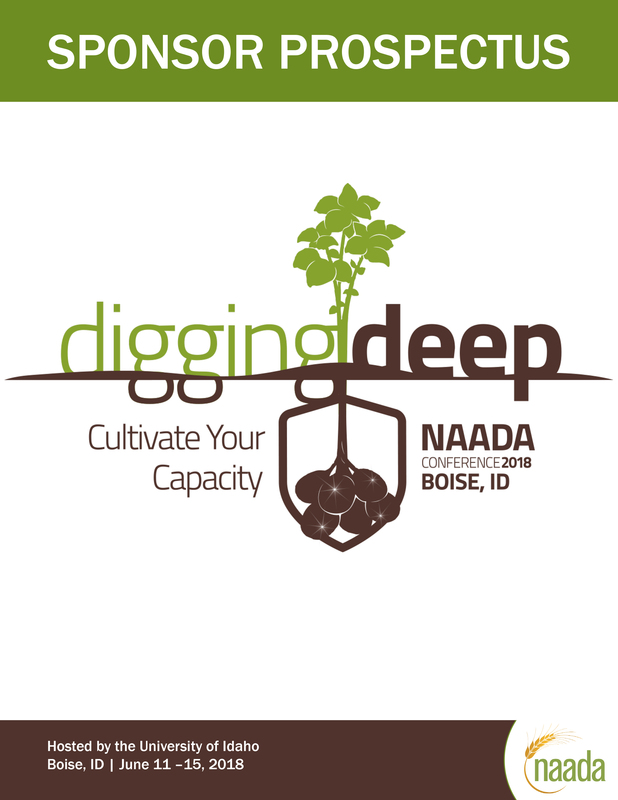 The NAADA Annual Conference is the largest gathering of Agricultural professionals dedicated to raising money, recruiting students and developing relationships to advance the institutions they serve. As an organization, our members represent over 1,000,000 Ag alumni and 100,000 students across the country. Through our sponsorship program, we have helped our contributing organizations reach their current and future target audiences, find qualified employees, advertise job vacancies, and expand their visibility overall. We hope you will want to be a part of this! 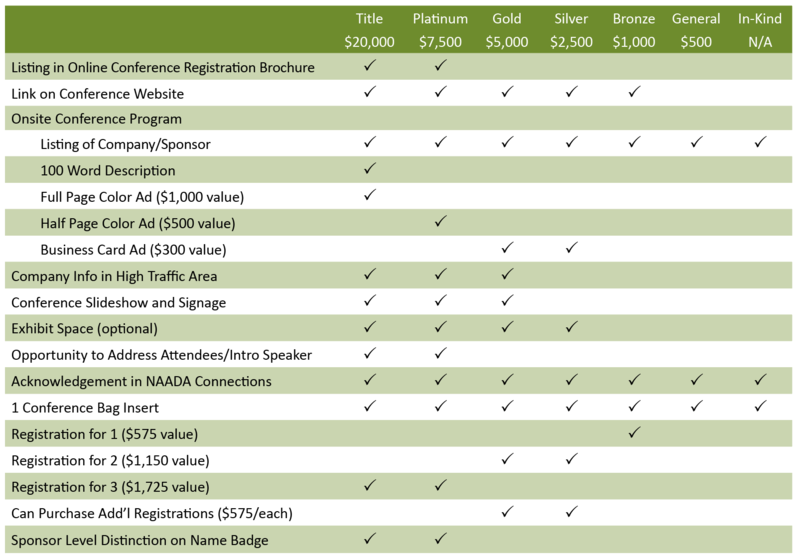 All electricity, shipping questions can be directed to NAADA Event Planner: Rhonda Grizzard.